I usually sign up for 5K races quickly and this race was no exception. Colony Pizza has some of the best pizza in Connecticut. They are especially known for their hot oil pizza which is very spicy. This 5K race offered free pizza AND beer at the finish line. Basically I’ve never met a slice of pizza I didn’t like, so it didn’t take any arm twisting for me to sign up for this race! 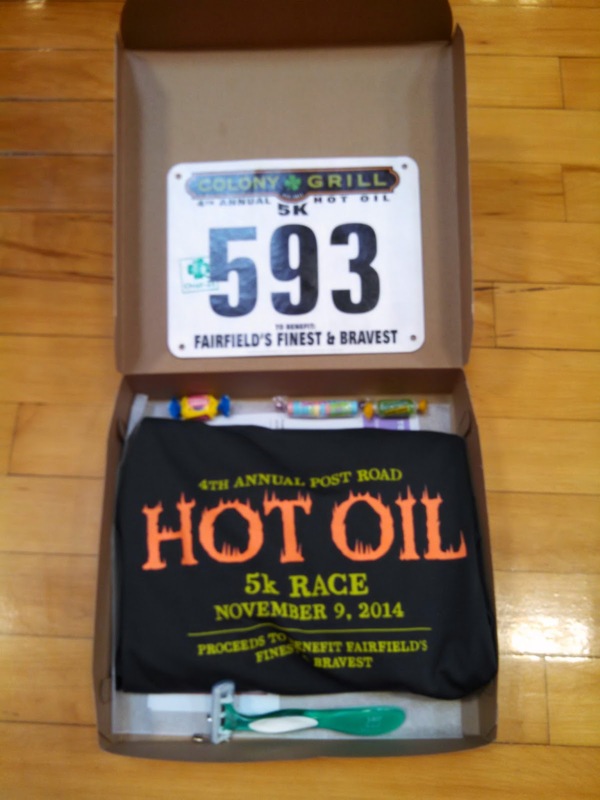 The Colony Grill Hot Oil 5K took place on November 9th. Thankfully the weather was great – not too hot or too cold. I was actually hot by the time I finished the race so I was a bit overdressed. 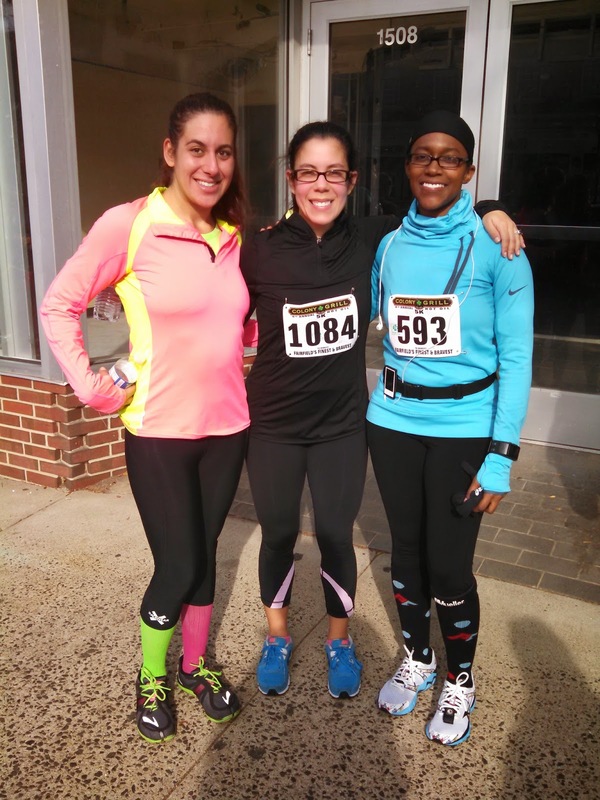 I was happy to do this race with my friend Valeria. We didn’t run together, primarily because she is super speedy(! ), but we had a great time chatting before and after the race. Before the race we picked up our bibs and shirts. 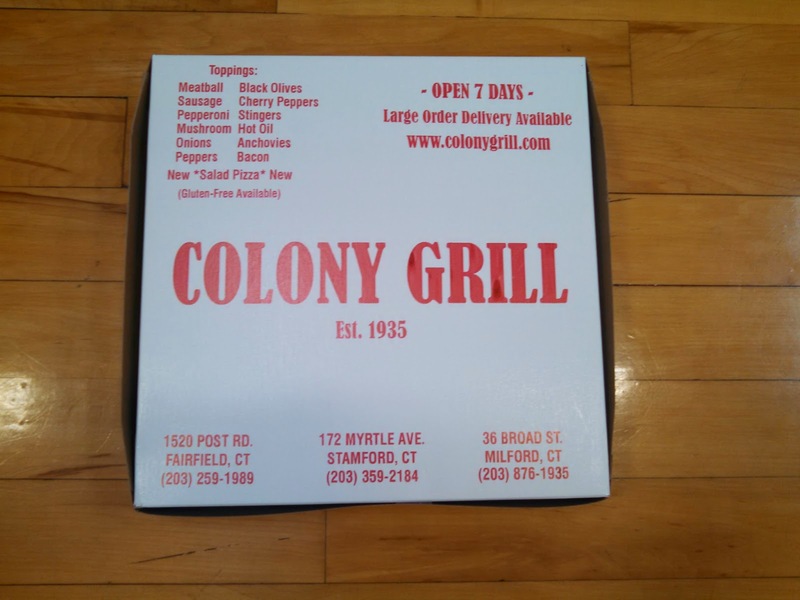 To keep with the pizza them, Colony Grill gave each runner a small pizza box with our items. The pizza box. Coolest idea ever! Gun Time vs Chip Time? So my watch said 29:35 but it also registered 3.18 miles (probably from all of the weaving in and out of people), but my gun and chip time were 30:42. Obviously something wacky was going on with my bib. I started toward the very back of the pack, so how can the gun and chip time be the same? That doesn’t make any sense. I didn’t cross the start line until well over a minute after the race started. I usually go by the official race results, but in this case I’m going to trust my GPS watch. Based on that, I set a new 5K PR! After the race, we met up with another friend to take a photo. rocking our PRO Compression socks. #KeepItTight! Do you have any races planned for 2015? How about for the rest of 2014? Let me know in the comments section! As always, you can find me on Instagram and Twitter.